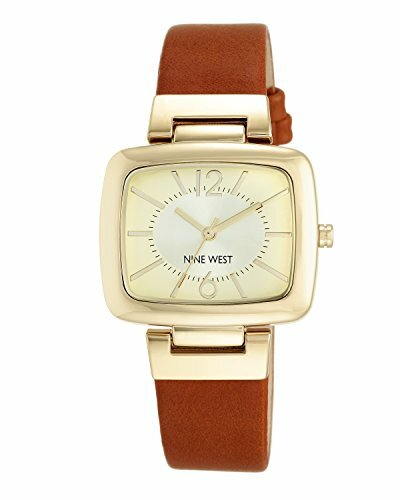 For a timepiece that works well with both your work and weekend wardrobe pieces, choose the Nine West Honey Strap Watch with Goldtone Modern Shaped TV Case. It features a combination of large goldtone markers and Arabic numerals on a champagne dial for easy time-telling. A buckle closure on the strap ensures a customized fit for optimum comfort, making this womens watch the perfect blend of style and functionality.